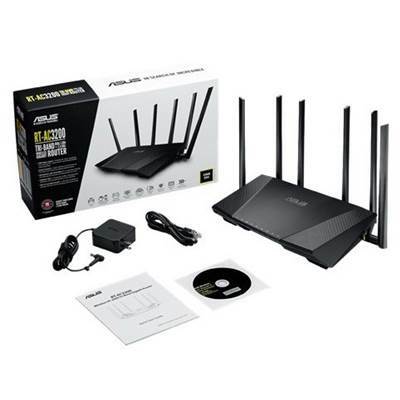 ASUS RT-AC3200 is a Tri-band 802.11ac router featuring Tri-Band Smart Connect, an incredible new feature that automatically maximizes the performance of each and every wireless device. 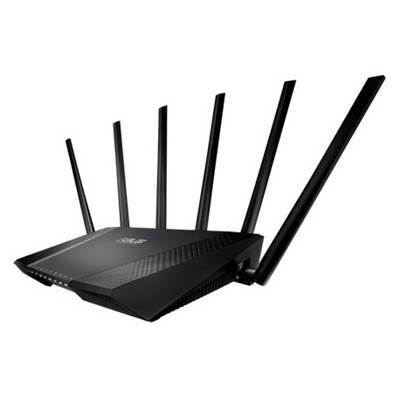 With the world's fastest combined data rate of 3200 Mbps (2600 Mbps on the two 5 GHz bands plus 600 Mbps on the 2.4 GHz band), RT-AC3200 allows every device to work at full speed, ensuring lag-free online gaming, silky-smooth 4K/UHD video streams, and effortless downloading. Add to this superb coverage and total security, and you'll see why RT-AC3200 takes your network to the next level! Our Tri-Band Smart Connect technology automatically assigns each device to either the 2.4 GHz band or one of the two 5 GHz bands, according to the device's speed, its signal strength, and how busy each band is. This means you never have to decide which band to use, as RT-AC3200 does it all for you. 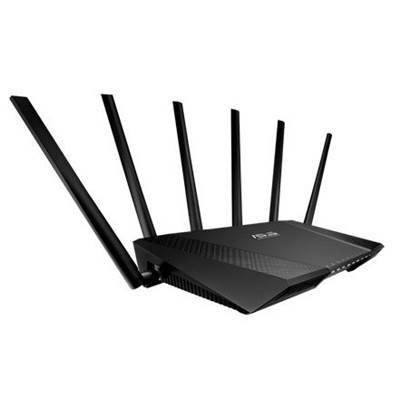 This means you get better range and faster, more reliable connections - all the time! RT-AC3200 has a data pipeline that's around 20 times larger than conventional routers - up to 300,000 data sessions - for exceptionally smooth performance. 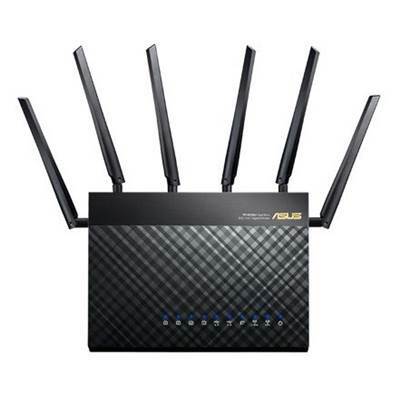 RT-AC3200, like all ASUS networking products, is subjected to exhaustive compatibility testing during its development. RT-AC3200 works flawlessly with a vast range of adapters, media players and other wireless devices to ensure the best performance - it even supports the latest-generation Xbox One and PlayStation 4 game consoles. Any USB storage device attached to RT-AC3200 can be used in conjunction with Time Machine backups for your Apple devices. Create a VPN server or turn your network-connected devices into VPN-enabled clients - with no need for paid VPN services. 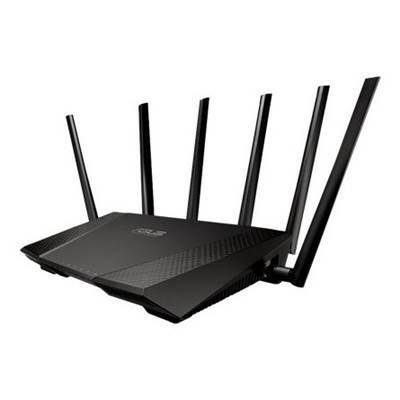 RT-AC3200 features the enhanced ASUSWRT graphical user interface, which gives you easy access to the 30-second, 3-step web-based installation process. It's also where you can configure AiCloud 2.0 and all RT-AC3200's advanced options. 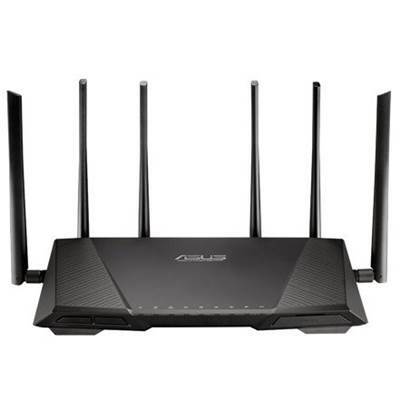 ASUSWRT is web-based, so it doesn't need a separate app, or restrict what you can change via mobile devices - you get full access to everything, from any device that can run a web browser. 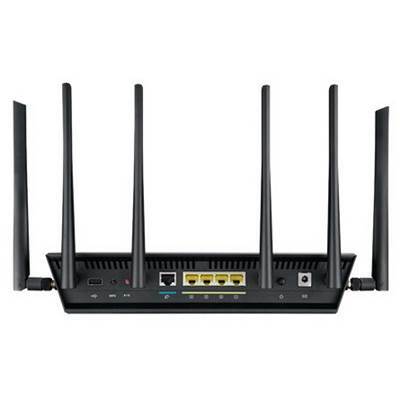 AiProtection, incorporating state-of-the-art, three-pronged security from Trend Micro, gives you enterprise-level security in the home - it's one of the most secure home routers you can buy! It constantly monitors the health and safety of your network for total peace of mind.